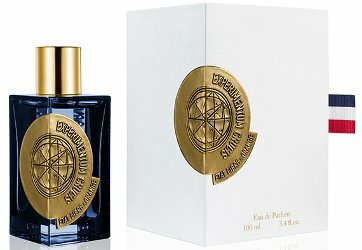 French niche line Etat Libre d’Orange has launched Experimentum Crucis, a new fragrance. Forgive us for taking inspiration from your Experimentum Crucis ! As your theory has changed our vision of the world, we have tried to create a fragrance that will change the world. Release the poetry of rainbows and gravity in a natural spray, and reach for a deeper understanding of the relationships between things. The notes feature lychee, apple, cumin, rose, jasmine, honey, akigalawood, patchouli and musks. Etat Libre d’Orange Experimentum Crucis is €200 for 100 ml Eau de Parfum. Doesn’t the molecule read Akigalawood? Yes, that was my error … thanks so much Lucasai! Fruits and flowers tempered by cumin for $$$. I am not chomping at the bit for this one. I have not tried any of their more expensive series, whatever it is…I suppose it is possible they are markedly better than the rest.